COLLEGEVILLE, Minn. — Wildlife experts reassured Minnesota residents that wild birds are well equipped to handle the state’s extreme cold weather, a particular concern when temperatures dipped to double digits below zero of late. Andy Forbes, deputy chief of the U.S. Fish and Wildlife Service’s Midwest Migratory Bird Program, told Minnesota Public Radio News that about half of the state’s roughly 300 bird species head south to warmer climates in the winter. The birds that stay are tough enough to survive the extreme cold weather, as long they’re able to find food, Forbes said. The birds that remain have high metabolisms, generate a lot of body heat and their feathers serve as great insulators, he said. 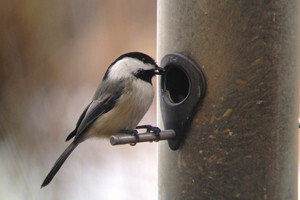 Species common to Minnesota, such as the black-capped chickadee and Canada jays, often store food in preparation for times when it’s unavailable, Forbes added. Some birds can even lower their body temperature at night to save energy and reduce their need for food. The chickadee can go into a state of torpor, which is close to hibernation. But southern species, such as the red-bellied woodpecker, aren’t as adaptable to the cold climate, according to Forbes. Forbes suggested that Minnesota residents can help by filling feeders with food that gives birds high energy, such as black oil sunflower seeds and suet. But he cautioned residents not to pick up a bird that appears injured, because they’re likely in a torpor state trying to conserve energy.